The Divine Proportion reveals a number of simple patterns: It is seen in the seed patterns of fruits, the family tree of bees, the pyramids of Egypt, Gothic cathedrals, Renaissance paintings, the human body, shells ... the list is endless. Mathematicians use the Greek symbol to represent the Divine Proportion and equate it to a number that is defined by the ratio (1 + 5) / 2 or 1.6180339.... Numbers do little, however, in describing this unique ratio that is found everywhere in nature and for 2500 years has been an aesthetic guide in art and architecture. Beginning with calculations found on clay tablets in ancient Babylon, the story of Divine Proportion can be traced alongside the history of numbers to the fractals of the digital age. As its many forms unfold we uncover the Golden Rectangle in the Parthenon, Golden Spirals in the human inner ear, a Golden Angle in the petal patterns of a rose, and the Fibonacci numbers in lilies, daisies, pineapples, and in our own DNA. With its natural balance and elegant beauty, the Divine Proportion is a perpetual reminder that our hope for regeneration and continuity lies in realizing the meaningful and harmonious relationship of all the parts to the whole. 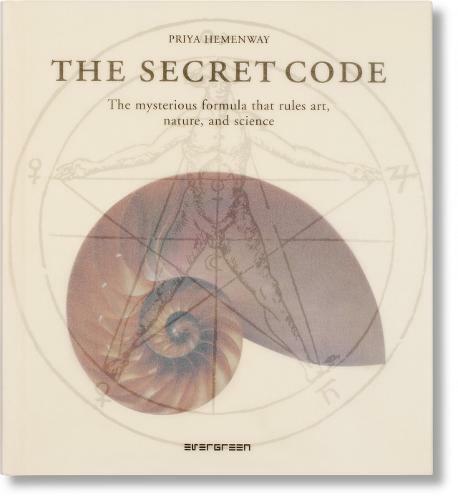 This book deals with the Divine Proportion, a secret code that rules art, nature, and science. It is known by many names: Golden Mean, Sacred Cut and Phi are only a few; and it is not by chance that the Divine Proportion was given its name. It has been called divine because over thousands of years it has been deemed to be so.